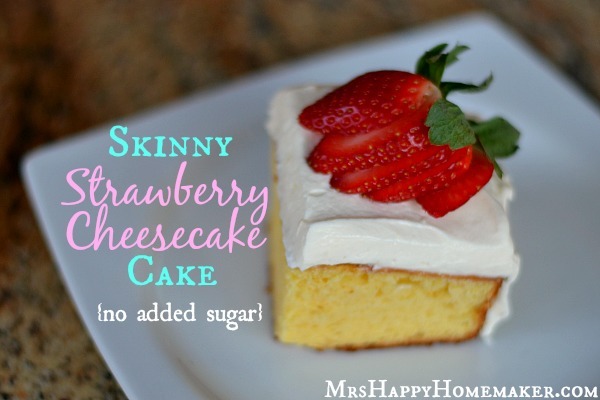 This Skinny Strawberry Cheesecake Cake is SO delicious! You can’t even tell it’s low calorie. No sugar is added either, so it’s diabetic friendly too! Now, for those of you who are looking for some new diabetic friendly recipes – or maybe just wanna eat something skinny, well you’re in for a treat. Not only does this Strawberry Cheesecake Cake not have any added sugar, but it’s actually incredibly delicious. You know that icky sugar-free aftertaste a lot of diabetic friendly dessert recipes have? Yeah – well, it’s not in this cake! 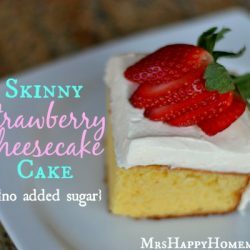 What you get is a light & airy cake that is extremely reminiscent of a strawberry cheesecake, without all of the guilt (or the sugar!). Now, if you’d like to make this – and you can have sugar, you’re welcome to just switch these ingredients around to the normal versions of them. Pillsbury has these fantastic sugar free cake mixes that have come out, and boy – they taste just as good as the traditional version – and are super fluffy too! Not dense and icky like a lot of products I’ve tried. They work fantastic here, as does the sugar free versions of jell-o! First step, combine 1 small box of sugar free cheesecake jello pudding & mix it with 1.5 cups of low-fat (or fat free) milk – stir to combine with a whisk until the pudding has gotten thicker. Now, add in the box of Pillsbury sugar free yellow cake mix along with 3 eggs. Stir to combine (electric mixer works great for this!) – batter will be thick. Spray a 9×13 baking pan with non-stick cooking spray – or baking spray. 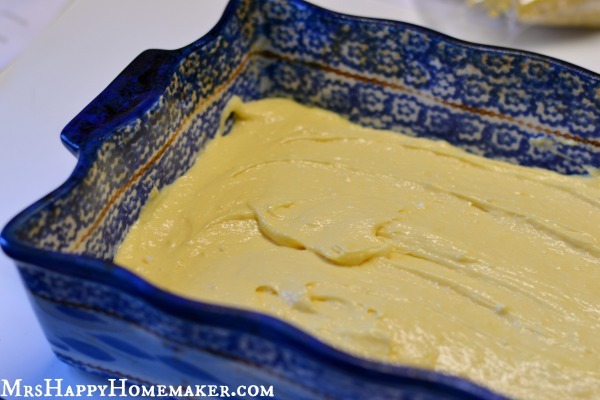 Pour in the cake batter, and spread around evenly. Once the cake is done, cool on a wire rack until completely cooled. Now, lets get that icing done. Afterall, isn’t that the best part of a cake? 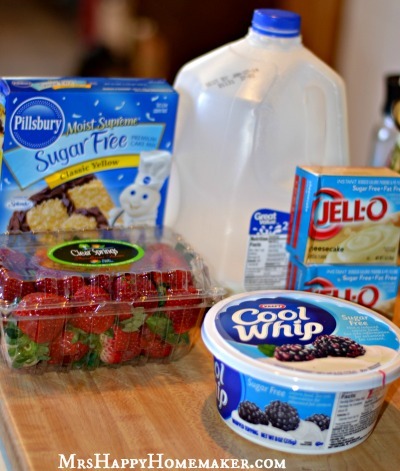 Take your second small box of sugar free cheesecake pudding, & mix it with 1.5 cups of lowfat (or non fat) milk. Stir with a whisk until thickened & pudding is set. 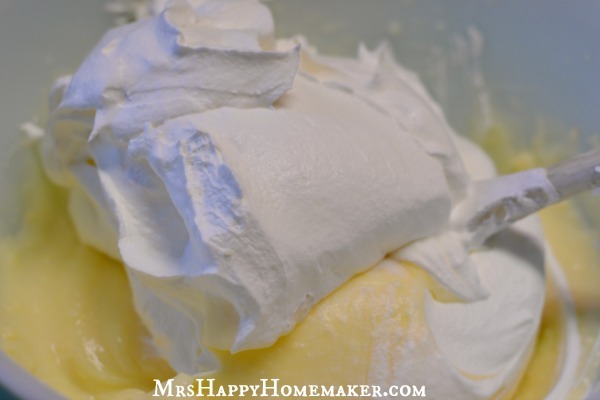 Fold in one 8oz tub of sugar free Cool Whip. Spread the icing evenly onto the cake. Refrigerate if not eating immediately. Serve each slide with a couple of freshly sliced strawberries. You’ll want to add the fresh strawberries at the time of serving instead of piling them on top of the cake to avoid any of the berries going bad before their time. Preheat your oven according to box instructions. 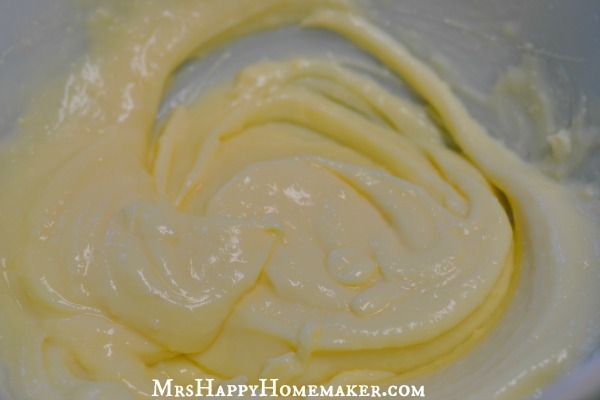 In a large bowl, combine the milk with the pudding mix with a whisk or electric mixer until thickened. 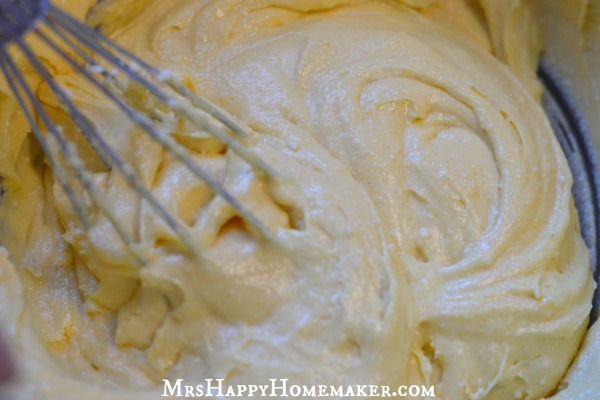 Mix in the cake mix along with 3 eggs. Beat until well combined. Spray a 9×13 cake pan with non stick cooking spray. Spread the cake batter inside. Bake the cake according to the box’s directions. Once baked, let cake cool completely on a wire rack. 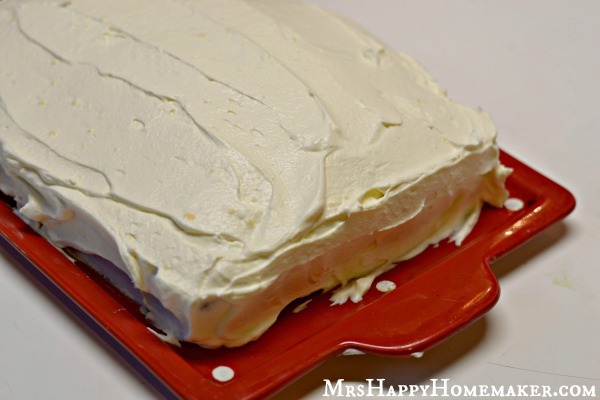 Once the cake is cooled, make your frosting. 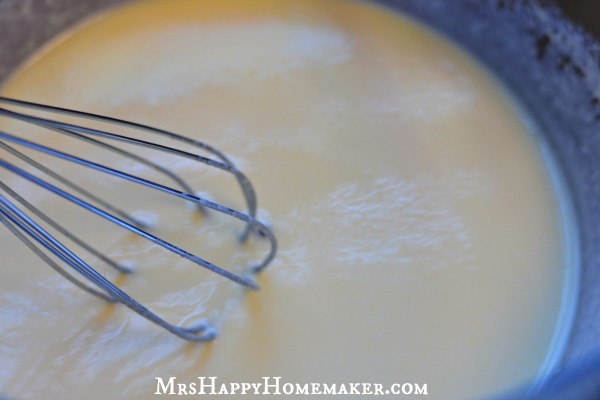 Combine the other pudding mix with 1.5 cups of milk, whisk until thickened. Fold in the sugar free Cool Whip. Frost the cake. 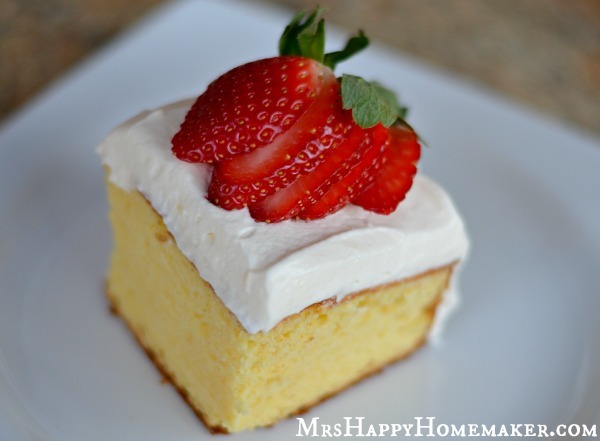 Serve each slice with freshly sliced strawberries. Yeah! 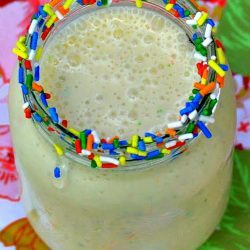 Do you have any other good “skinny” or “diabetic” recipes? I will be watching! 🙂 This cake sounds yummy! 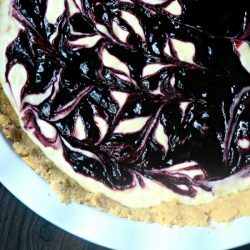 I don’t see why not – white chocolate cheesecake sounds good to me! My husband was diagnosed with diabetes 2 weeks ago. When I finally persuaded him to go to the doctor, his glucose was 490! Needless to say, our meal plan did a180. Just found you via pintrest. Will be scouring your site. Thanks for the recipes! 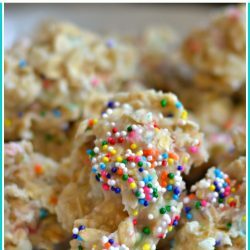 Recipe says skinny, but how many calories is a serving? In Pillsbury’s webpage, it says not a low calorie food for the mixes. The cake mix made traditionally is not low calorie, but I cut down on calories by not using oil & by using skim milk. 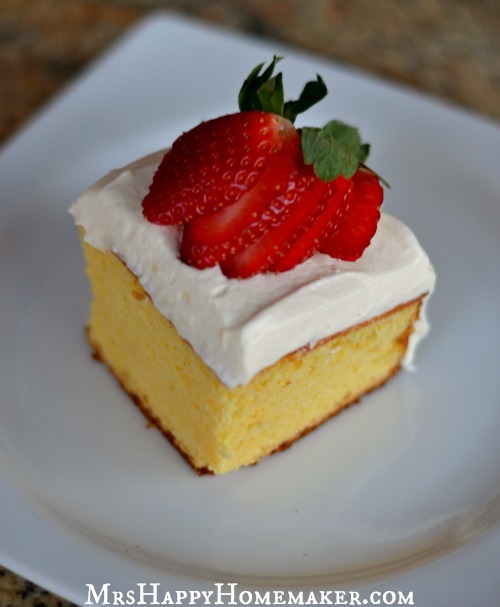 1 serving of cake equals about 280 calories, but can vary if you cut a larger slice of cake. Delicious recipe. I made them as cupcakes for a work event. You can’t really tell that they’re sugar free which is great! I’ll be making this recipe again!